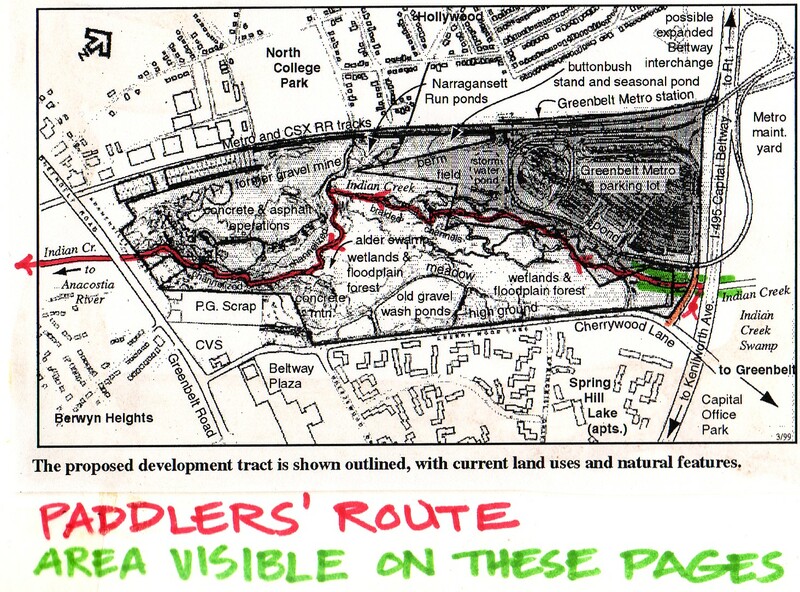 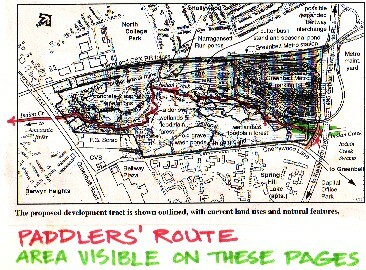 The paddlers' route is marked in red and starts at the right side of the map. Looking back at the Beltway - glad to leave the noise behind and enter the cool green forest. Launching the kayaks: Kate Spencer and Lutz Rastätter (CCRIC), Josh Ungar (AWS in back between trees). 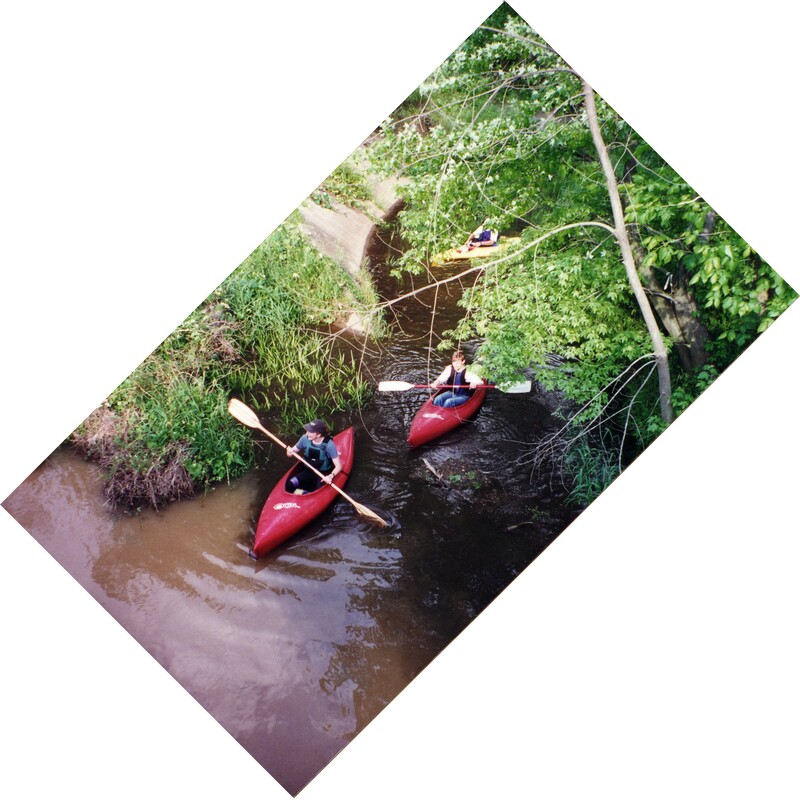 The paddlers start just upstream from the access road from Cherrywood Lane to the Greenbelt Metro station. 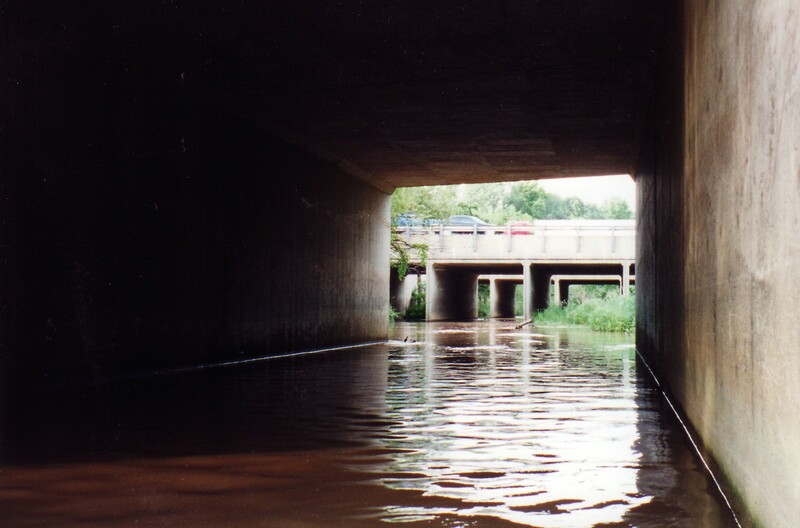 A concrete drainage ditch provided access to the deep, muddy main channel. The creek-bed was channelized (bulldozed and straightened) for the Beltway and the Metro Access lane crossings. 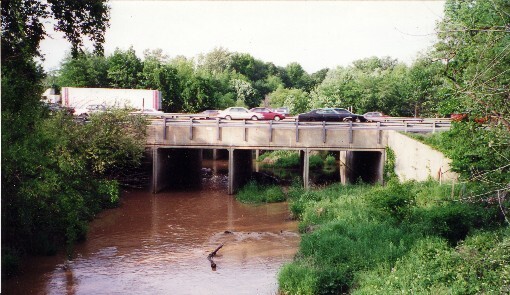 Here, just below the bridges, it is wide and uniform. 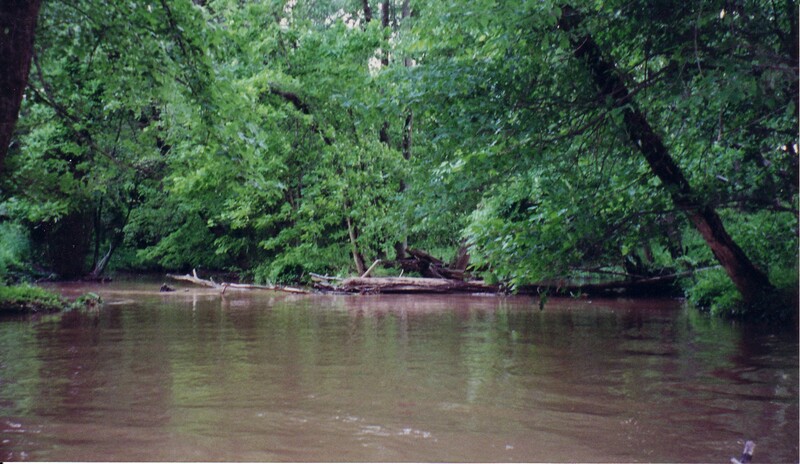 The tree canopy does not meet over the water as it once did.